Our cats in particular are in danger of suffering chronic renal failure, but any aged pet or a pet who has somehow suffered prolonged stress to the kidneys may experience renal failure. Inadequate water supply, unhealthy diet, infectious diseases, and environmental toxins can trigger the condition. Kidney failure is generally the result of disease or of prolonged stress to the kidneys, though physical damage or shock can also be an acute cause. However, it is also one of the most common killers of cats, and in old age renal failure may be more or less unavoidable after a certain point. With renal failure, toxins are not removed from the body efficiently and as a result the cat or dog’s health will deteriorate generally. This may happen quickly or over an extended period of time. Apple cider vinegar added to your pet’s water or food is often recommended to improve urinary function and kidney health. Increased water consumption, including saturating your pet’s food supply, is a critical first step if you can get your pet to drink. Dandelion leaves and other natural herbs and supplements are also a possibility if added to your cat’s, dog’s, or other pet’s diet to prevent and reverse kidney failure. Continue reading for extensive feedback from our readers on which supplements, herbs and home remedies they have tried to treat CRF in their cat. Please join the conversation and let us know which remedies you’ve tried to treat your pet. These are all great comments/advice/info for chronic renal failure. I noticed a lot of the comments were for cats…do you think the same would apply for a dog with advanced kidney failure (ACV,Aloe Vera,etc)? Any other advice? The vet said to put her down but gave her the IV stuff…I have the NON-GMO extra virgin organic coconut oil, dark non-gmo thigh meat, I also heard sodium bicarbonate (Organic)..a bit in water to up the ph also assists with animals that have kidney failure. I don't know if I am posting in the right place. I have a chihuahua I love dearly. She was rescued from a puppy mill where she was bred and not fed and when I got her all her ribs showed and her back legs did not work but within a month she actually got very plump due to lack of muscle rather than over feeding and she became very active and is the sweetest most precious dog. I never fed her dry dog food but she gobbled it up at a friends house so I bought her some. Everything I have read pertains to cats only. I have not found anything on EC regarding dogs. Good luck with your dog, Bea! I had a similar situation. If your pet is having a bathroom issue with bowel movements, ask the vet to administer an enema first. Next, buy GRAIN-FREE canned dog food from a pet store or Whole Foods. Buy the best quality you can afford. If you understand all the ingredients, that's a good start to begin with. Mix the canned food with filtered water and a teaspoon of raw, organic apple cider vinegar to the consistency of slurried mashed potatoes. If the dog eats it, feed again on schedule. If the dog is unable to eat it, replace the food with a fresh batch on schedule. Consider not feeding dry food unless it's GRAIN-FREE and very high quality. There are LOTS of chemicals in conventional grains. Your dog's organs probably can't handle them any longer. Once I switched my very sick, beloved old pet over to the above regimen, it was a life-saver. My beautiful cat was saved from almost certain death due to the information on this amazing website. He had a terrible reaction when the vet put him under to extract blood *(he's part feral, do not mess) and wouldn't eat or drink upon his return from the vet. He would just sit there with his head hanging over his water bowl looking very sorry for himself. Although I several times contacted the out of hours vet and was told to sit and wait, that he would come round, I panicked at about 10pm that evening as I could tell he had become terribly dehydrated and took him to the pet hospital where he was given an IV and rehydrated. Home again the next day, he still assumed what they call the "meatloaf" position (when they look like a bunched up chicken, not sure why it's called meatloaf) with his poor wee head hanging over his water bowl but not drinking. The dehydration had given his kidneys a boot in the balls and now he was very sick, I could tell he might not actually live much longer considering his age. I took to Earth Clinic, which deserves awards handed out from God's Angels and found a popular remedy of administering diluted Organic Apple Cider Vinegar (with the 'mother') to my friend to make him start drinking. Luckily I had some in the cupboard, along with a plastic syringe thing in my kitchen draw. I diluted about 1ml ACV with 2mls of water and snuck up on him with a towel and the syringe, apologising all the time and making calming noises and telling him this would make him better. I was a bit cynical but desperate. Although gentle, I firmly swaddled him in the large towel up to his chest – those claws are huge – then opened his wee mouth and squirted the liquid *across* his tongue, entering from the *side* of his mouth. I hoped this would prevent choking and thank God it did. I watched him mournfully for the next 20 minutes until he again sat at his nice fresh waiting water bowl, head hanging down, bunched like a chicken. Not two minutes after this, he put his nose down and began to lap. 20 minutes! I continued with the administration for the next few days, in all I felt he needed a shot of AVC four times, following which he was drinking of his own accord. Thank you, EarthClinic and all those who come back to say if something has worked or not. My furry friend is alive today because of it. They should pass this info on at the vets when they suspect a cat is having kidney failure – how many people have lost their furbabies because of the "no advising anything but chemicals" protocol. Now I'm having to deal with his kidney failure due to his over-anesthetisation but that is another story. It has been nearly a year since the incident and he's doing well. I would like to offer my personal experience with feline kidney failure. About 4 months ago, Emma, my 15 year old cat had a swelling on one side of her nose. The vet examined her and her blood work came back showing the beginning stages of kidney failure. The dental was still possible, and she did have to have one upper canine removed. I did give her some ringers lactate sub q fluids for a week. I noticed she was not eating enough so I started giving her raw beef that I ground up with some extra fat and blood ;about a 2 inch square, to which I added organic eggshell 1/16 tsp powdered, the same amount of nutritional yeast, and a few grains of l lysine. This is I feed her twice a day. She is gaining weight. From 5 to 6 pounds now. She is a petite kitty. She has recently began to play again. She initiates i .That tells me much, and that she is feeling much better. The most important key however is the use of calcitriol. Kidney failure in any person or animal reduces the ability of vitamin D to be used. This is vital to ensure proper function of everything. I give her .12 ml by mouth every 5th day. I have to say in all the pets I have seen with kidney failure, this supplement, by prescription, is effective. I have tried ALL types of methods to save my pets, and they all have some mild effectiveness, but this actually works. This comes from a special compounding pharmacy. A 15 ml bottle is about $70., and will last a very long time, over 6 months for sure. I only wish I had discovered this sooner. Your vet may not have experience with this so you can look it up for human use to show effectiveness and necessity as all kidney failure shares this processing of Vit D. I know for sure that diet matters. Giving carbs to carnivores promotes high blood sugars therefore defeating the purpose of helping the kidneys. Raw protein in proportion with raw eggshell calcium, which serves to bind phosphates properly restores the correct nutritional balance to the system. Balance is the key. 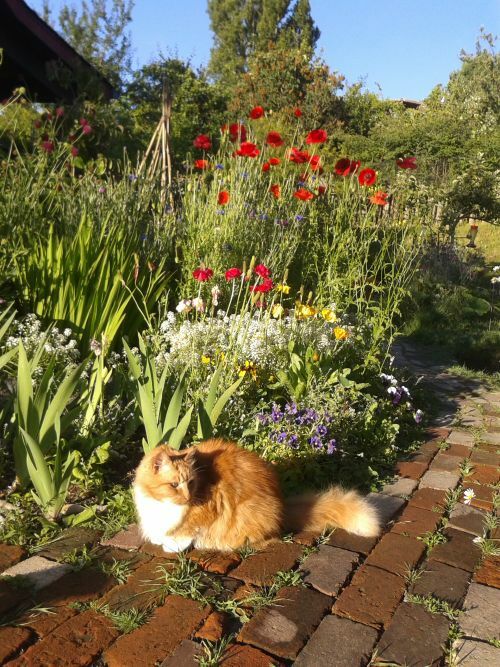 Hi…..My cat, Merlin is 16 and has kidney disease. I have been giving him a small squirt of black seed oil in a pipette every morning for the past 2 – 3 months when I take some myself. He immediately stopped vomiting and smelling slightly rancid. I combined that with a tiny amount of ACV in his drinking water each day and nearly all of the symptoms now have disappeared. My 4 year old lab x is in renal failure. I started aloe juice and the ammonia smell went away. We've had a success in bringing my little kitties kidney values back into normal range. His blood was tested on Aug 8/16 and his values were into Stage 3. (creatine 270) yet clinically the symptoms were just large pees and perhaps a little lethargic. Blood tested 3 month later…all values in normal range. This is what we did: raw lamb (warms kidneys) and turkey. Mostly lamb 3/4, and boneless turkey 1/4. 1 1/2 or so tbsp of pumpkin daily. RENAL ESSENTIALS 2x/day (wrapped in a little raw meat..eats like a candy). This product is by Vetriscience. Please try to buy directly through a vet. Reversed osmosis water only. 3 soups a day of 1/4 cup water with 1 tsp Ziwi Peak (lamp) canned…add treats or raw to get excited. We did a few sessions of acupuncture and will continue. Watch the constipation carefully…if dry poos, add more soups and oil. (olive is ok sometimes, fish depending on the vitamin D situation). Oh and lots calm…like yoga nidra sessions with kitty laying on top. We took in a stray female 3 years ago. She had been on her own for over a month at least. She had a hernia, was in heat, and on the verge of kidney failure. The vet fixed up what he could and told us that this cat of possibly 1 year old was not going to make it given her high creatin (3.3) and BUN levels. Over the next year, we added water to her food and nursed her back to health and a better creatin level. A year ago in May, the vet said she was starting to move back up (2.8) and that we would have to put her on special food to prolong her life. She refuses the kidney diet food no matter how I hid around her other food. So I came here and read about the Aloe Vera Inner Filet juice that helped others. I bought the 'Lily of the Desert' brand, made sure it said 'Inner Filet' and started using that instead of water to moisten her food. December 2013, her creatin moved lower to 2.7. Last May it moved to 2.5. This past weekend, it was 2.1. She is without kidney issues now, uses her litter box regularly, cleans her coat thoroughly, has a good weight, is active. I am very thankful for this site for providing me the clue to help our sweet little kitty live a longer, less painful life! Do you remember which Lily of the Desert you bought? I just got a bottle and it does have the mold inhibitor in it, the potassium sorbate. My Tabby boy's kidneys are in decline (he's 19) and I want to make him comfortable if he's going to leave me. I have determined that if he's going to go, he will decide when he wants to, not me. I won't allow him to suffer if it comes to that. Your kitty has already decided to leave you – he is just waiting for you to pick up what he has been laying down. Yes, please support him but when he stops eating and drinking [which means his organs are shutting down and have stopped working], please support him further by having a vet make a house call to help take that final step. Thank you! I had kitty to his doctor last Friday and the doc said it isn't time to take him in. He's eating, drinking and the doc checked him for his hydration level and said he's good. In my research (and experience), renal failure is not a painful way for them to pass on. Any body (human or otherwise) that is shutting down generally has this natural reaction… it does not mean they are in pain. I've had to put one of my cats down and it's a horrible memory that I questioned time and again. Obviously, I'd never neglect my cat – mine is going on 16 and was diagnosed last year with end-stage renal failure. I changed his food, saw he wasn't eating much of the stuff prescribed by the vet and then used by instincts and switched him off that until I found something he enjoys and can keep down (in his case, Nutro Chicken and Shrimp pate was the ONLY one). I stopped adding the powder the vet told me to sprinkle on top, because my cat didn't like it. I'm lucky in that he's always been a huge lover of water… as they age they can forget to eat and / or drink as much so I remind him. Vets don't always have all the answers and sometimes 'Mommy knows best'. *Aloe vera juice – no preservatives – 2-3 ml dosed orally in the morning and the same dose at night. Use syringe to administer if your cat isn’t drinking readily on his own. *ACV in the water – 3 tablespoons per liter; use a syringe to administer if your cat won’t drink it. Always dilute the ACV as full strength is unpalatable to your cat and may cause stinging or choking. * Chitosan, a natural, non-toxic fiberous crustacean when given with a meal helps absorb phosphorous that is responsible for nausea with kidney-impaired animals. * Phosphatidylcholine – Used clinically to regenerate the liver, kidneys, heart, brain, intestines. It's "important for normal celluar membrane composition and repair", occurs naturally in egg yolk and krill oil, and appears in small quatities in lecithin. (Phosphatidylcholine can be purchased as a supplement with 35% phosphatidylcholine with lecithin. ) Works best when taken with Vitamin C.
Hi, what a great post. My cat was just diagnosed last week. Should I try all of these remedies or just 1-2 to start? I am a bit overwhelmed and very upset but will do anything to help my precious cat. Dms5(at)yahoo(dot)com. Thank u so much. If this were my cat I would certainly try the first two – Aloe Vera juice and ACV- as they are very easy to come by and not expensive; visit your local whole foods grocery or coop or health food store to find them. I would then go down the list and consider each remedy carefully; can you obtain it? Is it going to cost you half your paycheck? Does the remedy resonate with you? Sometimes if something doesn’t feel right it isn’t right – so consider each and go with your gut. Also consider the support forum for additional ideas on how to care for your baby during this next phase of his/her life. I have no brand of aloe vera juice – so just what you can afford, as long as its pure and no preservatives; if you have a friend with a live plant, see if you can get 1 big leaf [or several] and then squeeze the juice out to see if your cat will take it. For sure try the ACV. As for the Azodyl – I am not seeing that it provides any kind of bang for the buck. I would skip it – JMHO. What is the dosage of chitosan? I have cat whose weight fluctuates between 7-8 pounds. He has Irritable bowel syndrome plus CRF. thank you. Try 1 gram a day – so if you have 500mg capsules give 1 capsule in both the am and pm meals. Hi, my girlfriends cat has CRF and is getting his fluids and is taking Aluminum hydroxide. We wanted to try some holistic options as well. We are not stopping the fluids or the Aluminum hydroxide. So we would like to know if there would be any interactions between the holistic methods and the methods we do now. Here are the other methods we were wondering about. George’s Aloe Vera juice (it has no preservatives like benzoic acid which is poisonous to cats), Apple cider vinegar and Astro’s CRF Oil (Astro’s CRF Oil is a unique formula created from pharmaceutical grade fish oil with a very high concentration of EPA (eicosapentaenoic acid) and DHA (docosahexaenoic acid) which has been deodorized and micro filtered to remove any heavy metals, vitamin E, which also helps keep the fish oil from oxidizing, and a highly bio-available liquid form of ubiquinone (a higher percentage can be utilized by the body), in concentrations and ratios that are optimal for the treatment of chronic renal failure. This product is totally natural and has no side effects. Thank you so much and hope to get an answer soon. My girlfriend’s cat has kidney failure and I saw that ACV and or aloe juice can help. Her cat is already taking Aluminum hydroxide, would it harm the cat if we gave him ACV or the aloe juice while still taking the Aluminum hydroxide? Thank you. Hi Scott, I believe ‘George’s Aloe Vera Juice’ has been mentioned several times here as safe for cats. We gave it to our 14 year old tabby when he was in renal failure and he did well with it. Good luck! What is the best kind of Aloe Vera Juice to get? All the items I have found have the latex and whole leaf. Is it OK to use those and what is best, gel, capsule or actual juice! November last year, I took my kitty, Bandit (15), to a well respected Vet. After $700 worth of services Bandit was pronounced to have Chronic Renal Failure. I was given (or rather sold) a $24 8lb bag of Science Diet K/D, Cannned K/D food and told to take him home and more or less wait for him to expire. I’m a Biochemistry/Nutrition Major from Canada, and I knew there must be more to it than what they were telling me. From the name of this disease, I was in shock and expected my Bandit to be leaving me in just days. Don’t we usually expire when our organs are pronounced in “failure” mode. Well, thank God for internet. I researched, found a wonderful alternative pet healer in the area, threw the K/D out (after reading the label, one of the first ingredients was gluten) and started Bandit and by now, another one of my kitty’s, Cupcake on a partial raw food diet. The practitioner worked her magic on him using Bowen, and gave me Potassium citrate, to give him. I also supplement him with Taurine, and Standard Process’s “feline renal support” along with a few other things like Noni juice. He is so active and his spunky attitude is back, Cupcake is right now basking in the warm California sun and just for today, they are enjoying a high quality of life. Please tell me exactly what was in your cats food…. Raw what? How much? I struggle hard with depression and am easily overwhelmed. Getting the CRF diagnosis for my baby cat is killing me. Please write back if u can. Fish oil given how? What dosage? The post about RAW diet you are responding to is nearly 1 year old; chances are slim the original poster will reply. My 10 yr old cat was very recently diagnosed with beginning of kidney disease. Is is safe to give him colloidial silver in small doses to help combat this problem? In August my little dog Sassy, part pom – part shiz zu – started throwing up and becoming weaker and weaker. I took her to the emergency vet on an early Sunday morning thinking I was loosing her. It turned out she was dehydrated and her blood enzymes were elevated three times the normal range which indicated her liver was compromised. Thus began many visits to the vet and various tests including an ultrasound. She actually started to rally and it looked as though we had turned the corner UNTIL the technian at the vet hospital gave her a dose of Capstar, a temporary flea control, as Sassy had fleas when I took her there for the ultrasound and that was their policy. When I found that out I almost lost it. WHAT? You did what? I could have screamed. Sassy's liver had been poisoned by flea products and looking back over the years I can see this was a progressive problem. I did notice that every time I would put the various products – Advantagx, Frontline… whatever – on her neck she would have a bout of just not feeling well and sometimes she would throw up but she would rally around after a day or two. Even when I took her to the groomer the next couple of days she always seemed off…. Now I realize it was because the groomer always bathed her with a flea shampoo. But this time I guess she was just too old to fight the poisons or it had accumulated over time in her liver. I had been arguing with three different vets that this was the problem but they kept insisting that there wasn't enough poison in the treatments to cause this, my vet even gave me flea control shampoo to control the fleas! Well, the Capstar incident proved my point and she started to really go down hill after that and the enzyme levels grew higher and higher. Her eyes and skin turned mustard yellow and the vet called me on Sept. 26th saying she wouldn't make it and to come and get her The vet suggested I take her to the veternairy college in Blacksburg but I had already spent $1200.00 and with just losing my job it just wasn't financially possible to continue. So….. the battle was on. LOTS of prayer, heavy doses of milk thistle daily and a regimen of syringes of cottage cheese emulsified with cold pressed flaxseed oil (if you know someone battling cancer… And they weren't sure if this wasn't what was really wrong with Sassy…. check out the Budwig Protocol on the internet for how to do the cottage cheese/flaxseed… thousands of people have been helped with this procedure) Many days that's all I could get down her. She still has no appetite and has lost about 4 lbs…. On a sixteen pound dog that is very traumatic. BUT, she's still with me, still mobile, and the other day she actually brought a toy to me to play with her. I give God the praise… He is concerned with what concerns me. After it was all said and done the vet did admit they had one other incident where they had lost a dog due to flea control products – it's all over the internet if they would bother to look!!! He called me several times afterwards checking to see if she was still alive… I'm looking forward to taking her in there when she regains some of her weight and energy. Anyway, I think Sassy is just one of those dogs that can't tolerate those products. Most animals seem to do fine; however, please know that those products are poison and do accumulate in the liver just like in humans when we drink sodas laced with artificial sweeteners or eat fast food – I'll leave that soap box alone for now. So, my advice would be to put your animal on milk thistle if you use flea products in the summer….. It's not expensive and might save it's life. As for fleas….. I don't know the answer. They seem to be a bigger problem each year and I certainly won't be using anymore flea control products. Sassy is highly allergic to them and just one flea will cause her to scratch and bite her skin and be in agony. The vet said to continue bathing her in Dawn dishwashing liquid to keep them down. It's now been 5 months and so far she's beaten the odds – I ask that you continue to agree with me in prayer that she will be granted a few more healthy "doggie" years, for my sake if not for hers. Update: Sassy urine has turned dark orange. I went online and discovered it's probably due to kidney failure…. I decided to check EarthClinic and discovered dandelion root, aloe vera and ACV. I already had DE on hand for battling fleas but didn't occur to me to use that for detox so now I'm doing a regime of ACV, DE mixed in about an ounce of water and a little honey to help mask the vinegar… I'm doing that every 2 hrs with a syringe plus I give her a syringe of "green juice" that has all sorts of veggies, herbs and of course barley grass and continuing the cottage cheese/flaxseed oil. Will let you know, please pray, it's been a major battle. She's so skinny now she walked out of her harness that use to fit snug. If I thought she was in alot of pain I'd give up…. But not yet!!!!!! DISTILLED WHITE VINEGAR! THAT'S IT! Sorry and dawn dish soap. Give bath with dawn. Then after bath lightly spray 50/50 water and vinegar. Get another bottle and do 100% VINEGAR. Smell goes in 15-30 minutes. Anyway, spray everything! Carpet bed, your bed, sofas, do it every day. More if u want. Not more on pet, once a day is enough, that's it. After a few weeks maybe every other then 2x a week. All year. if u can't bathe cat, put on warm washcloth and rub lightly til cat will allow more but still spray everything. I hope Sassy has made her recovery. Consider using the egg shampoo recipe instead of Dawn (chemicals) to bathe her, and essential oils to control fleas. I don't tolerate dish soap even just washing dishes, she may be intolerant of the Dawn as well. Best wishes. Dear Rukmini, try food grade diatomaceous earth (DE) for your cat. Companies in U.S. Sell it, but one website in particular has many impressive testimonials for both cats and dogs (and people), and they send it out internationally. It’s inexpensive to buy, though shipping is not inexpensive. DE has clay in it, which is known to absorb and eliminate toxins from the body. Our dog had kidney failure from Lyme disease. She would lick and lick a particular spot of earth in the backyard. I now know she was trying to ingest clay, which I’ve since learned animals often do when they’re unwell. Try mixing a tsp. of DE into her food. If she won’t take it that way, dust it on her fur; she’ll lick it off. Low protein food is standard protocol for kidney issues. Coconut oil is also said to be helpful for the kidneys and liver. Try mixing a tsp. of it also into her food. Again, if she refuses it, apply it to her fur; she’ll lick it off. Aloe is good for digestive issues, though the fresh pulp can be bitter. Taste some yourself and see. It’s worth a try for your cat, but at a separate time from the coconut oil and DE. We learned about coconut oil on Earth Clinic; since then have read more. I’m sure both DE and coconut oil will help your cat. Thank you, Earth Clinic. Hi there — if my cat is experiencing stomach upset — is it ok to give her some drops of Nature's Way Aloe Vera Whole Leaf Juice Organic ?? Thank you. I think that it would be a good idea to try to settle your cat’s stomach with the aloe vera juice, and it may help to get her appetite back. The better advice for Monique is this: when using Aloe gel or juice for cats, use only the type that is labled ‘Inner Filet’ only – as this sourcing of the gel or juice does not use the whole leave and thus does not include the latex from the skin of the plat that is toxic to cats. George's tastes like water and is completely safe. Our cat goes on it and off it and has for years. I feed her a human diet with plenty of unrefined fats and she's 17 and has no health issues whatsoever. The kidneys of lab animals used to test aloe vera juice were found to last 25% longer. I am a firm believer in aloe vera juice for all, for a dozen varied reasons, and kidney health is one of them. How much do you give a cat to help with stomach upset due to kidney disease? I read about your posts re kidney disease and aloe vera. I have a cat who was losing weight, had ammonia smell in mouth, was dehydrated and wasn't eating. I bought Lakewood Organic Pure Aloe (with inner leaf) and mixed a tsp with her wet food and boiled egg yolk every morning for around 5 days already. She has eats a lot now, pees well and seems to be stronger. She is slowly gaining weight and less dehydrated. Am grateful for the posts you've made because your advices have helped her a lot. Recommending diatomaceous earth is not a good idea for any animal in renal failure. Specifically, it is a natural diuretic, so if the animal isn't drinking enough water, it will dehydrate the animal more and will increase BUN and Creatitine values. Also, it is known to cause kidney stones in animals that do not drink enough water. Plus, if the animal is already on a blood pressure medication, it will interact with it. My baby is a 14 year old mix breed cat. The vet said a few months ago she had kidney failure, gave her special food and didn’t know how long she’d last. I put her on a different grain-free food and forced liquids into her. She recovered quickly, but her eyes have been red and she gets that black gunk in the inner corners. After some experimentation it appears that chlorophyll capsules dumped into wet grain-free cat food with extra water added, goat milk, and a raw chicken liver every few days are doing her very well. The liver seems to be helping the eyes the most. Possibly she’s anemic. Each item is given on alternate days, and she has free access to grain-free dry food and water. She used to sit next to the water dish with her chin over it, sipping now and then. She doesn’t do that anymore. She’s a bit wobbly on her hind legs. I’m going to try adding basil to the food and giving the milk with it. She was severely constipated a few weeks ago which hairball remedy did not help, but Miralax cleared. I didn’t have to take her to the vet for it. I’d like to give her digestive enzymes to see if it helps. I also minced up dandelion leaves into her wet food for a few days. She liked that. I cut the stems out of the leaves at first. If you are still a routine reader after all these years please let me know the maximum dose of chlorophyll considered to be safe for my 10 year old anemic (17%) CRF kitty or would appreciate anyone's advice on helping him to regenerate red blood cells naturally. Thank you all so much! My 15 year old indoor cat was sleeping a lot, thin, lethargic, not eating or drinking, sitting with her chin over the water dish a lot, had difficulty urinating/defecating. Previously the vet said her kidneys were failing and she had to have special vet-only kd formula food. After reading the ingredients in the expensive kd (they were of poor quality) I bought a no-grain food, which she did very well on for a few months. She regained energy and her coat became very fluffy and clean, she put on weight. A few new cats came to live with her and she got sick again, don’t know if there’s a corelation. I made her drink yogurt, aloe juice, garlic powder, turmeric, basil, a variety of MSM gel, apple cidar vinegar. I mixed the above variously into a couple tablespoons of yogurt and made her drink it from a medicine dropper. She resisted, but if you hold her on her back and press the dropper into the back corner of her mouth she has to swallow it. It didn’t seem to do much other than keep her hydrated, so probably plain yogurt and MSM would be the only thing to give. I tried those things because I figured her digestion was messed up somehow, and she had the same symptoms the vet called kidney failure and dehydration. Additionally, I mixed a chlorophyll supplement I’d been taking into her water bowl, and some aloe juice with citric acid into another. She improved overnight. But she would sit with her chin over the water bowl and started getting an infection under her chin from the damp chlorophyll caking into her fur. I took away the chlorophyll water and her health declined again, so I started giving it to her mixed into tuna juice instead, so she drinks it all right away. I quit giving her the yogurt after I noticed the dramatic improvement from the chlorophyll (about 4 days). Once a day/every-other-day I break open a capsule and stir it into a dish of tuna juice, the water kind – not the oil kind, don’t give the oil, they say it interferes with vitamin E or something… (Press the juice out of the tuna and set the tuna aside. Don’t get the tuna that has broth in the ingredient list, broth is supposedly one of the ways they hide glutamic acid (think MSG) in things. You might want to get the low sodium kind, too. She’s had both. She drinks almost a whole can’s worth of juice. )She also turned her nose up at raw beef and chicken while she was sick, but she gobbled up raw chicken liver, especially the blood as if she was starving. Raw chicken liver is cheap. They say chlorophyll is like hemoglobin, so maybe that’s why it works for her. She’s been on the chlorophyll for a month or so now. Her eyes have that black crust on the inner corners, and one eye was watering tonight. But she’s going about with her tail up lately (she never was perky, so the tail up is a vast improvement) and comes to the door when I arrive. She also seemed to have a soreness to her hips or lower abdomen which is much improved. I’m going to keep giving it to her for a while, but I have to figure out a way to get her to ingest it without the tuna juice, don’t know if that much tuna juice is healthy. She may have been a victim of the tainted pet food, she first got sick shortly after that all happened. Her reflexes and allertness seem to have improved as well, better than before she got sick, even. They say only give raw liver a few times a week because of all the vitamin A in it, or something. She won’t eat the chlorophyll if I mix it into gravy or chicken broth, so far just tuna juice. Try Lysine 500mg from Vetriscience, helped with Herpes virus around eyes, which created dark crusts of tearing. We are in Galicia, Spain and are urgently requesting some info. about DMSO. Our dog is in kidney failure. He is being treated by a vet, but he will die soon if we do not try sometime else. We want to try to treat him with DMSO. Does anyone know where we can get some here? You might want to try adding wheatgrass (1 scoop of Powder) the product is called “Amazing Grass”. This powder is like non other and kept in the freezer. Also add 2-3ml of organic aloe vera to very good food (the best you can get in your location) mix with about a half can of the best food in the morning. Then get the best dry food and leave in the dish for your dog. This has made an incredible difference in our dog, I hope it helps for you. My 10 yo choc lab was diagnosed with chronic kidney disease about 8 mos ago. The vet put him on the prescription diet KD. He was on that for about 4 weeks and had to go back for blood work. The vet said there was slight changes and to keep him on this food. He said I would start to notice changes in my dog in about 6 mos time and that this disease usually ends a dogs life within 18 mos. I searched the internet and read hour after hour and decided to try a diet I had seen several times on different posts. 1 cup cooked white rice, 1 lb cooked ground beef with a higher fat content, 1 cooked boiled egg, 1 slice of white bread. Mix together. For my choc lab who is about 75 lbs, I give 2 cups twice a day. I also give him one omega 3 fish oil capsule once a day. I have also now started to incorporate cut up green beans with the mix. When he started out, his breath smelled of urine and his coat was dull and the hair was coming out in clumps. 8 mos later, he no longer smells of urine, his coat is shiny and no hair loss. He eats like a horse and plays with his toys again. He has shown no signs of kidney failure up to this point when he should be starting to show signs of the disease according to the vet. I am hopeful that continuing on this diet will keep him healthy. This is my experience and I hope it helps others as well. Well done for taking such good care of your dog. I just wanted to say please look into the benefits of wholegrain brown rice and bread. White rice and flour/bread are so refined there is no nourishment in them and they will do more harm than good in anyone’s diet. Brown rice and whole grains are too high in phosphorus for kidney pets. Certainly they are more nutritious, but we are dealing w/ kidneys that cannot process phosphorus. Phos is shown to advance kidney disease more than anything else. Hence, the “white” breads and grains. I have been giving my cat sardines and my friend looked it up and found that fish had higher phosphorous than meat and sardines were the highest. Is the chart he read wrong about that? Is cod liver oil considered good fish oil? Hi-diddly. My cat-companion Job was diagnosed about a month ago with CRF. He was already on a raw diet and I never would have known except he started having “dizzy kitty”episodes. This is titled Idiopathic Vestibular Brain Disorder. In human lingo, micro strokes in his balance center. Can’t help but wonder if came about from him being chronically dehydrated! So off I went into investigation mode. Job is on the classic kidney diet of low protein/dense carbs/low phosphorus. Kidney-wise, he is not drinking all the time and urinates “normal” amounts. Still struggling with the upset tummy (already onACV, maybe needs more) and joint pain (uric acid crystals?). Ironically,when he had his last dizzy spell, I was desperate to shorten the duration and swabbed his ears with DMSO and started putting it in his food. Much shorter duration, and less fried nerves for me! What do you all think? Possible increase joint pain because the DMSO is dissolviing the crystals? Job and I would like any input anybody would share. To all, hang in there. Everyone who reads your posts, sends you support!!! My cat was diagnosed last year with chronic renal failure. And one of the most challenging issues has been his vomiting. I have been giving him fluids on a regular basis, but because renal failure affects the acid in his gut, he would go through some periods of serious projectile vomiting. His gut would be gurgling all the time, and for months, I tried using Famotidine from the vet with little success. Then I tried George's Aloe Vera juice (it has no preservatives like benzoic acid which is poisonous to cats)…and this cat who was throwing up at least once a day has not vomited in three weeks! I give him 2-3 ml in the morning and the same dose at night. Of all the Aloe Vera's. George's seems to be the best…no taste (tastes to me like water), and you don't have to refrigerate it. Available at Whole Foods and probably other natural food staores as well. I believe this would have greatly helped my other cat who had hyperthyroid and would vomit whenever her stomach was empty. My 12 year old domestic short-hair cat, Roscoe, was diagnosed with CRF 3 weeks ago. After spending 4 days in the hospital, we brought her home and started her on the doctor prescribed kidney-friendly food. After 2 weeks of her showing a strong appetite, she suddenly started vomiting and showed no interest in food or water. She also seemed to be very uncomfortable and I noticed she was going to her litterbox often but not doing anything. After searching online, I found a post on your website written 3/16/2009 by Peggy McAllister regarding the use of aloe vera juice for her cat with CRF to help with both nausea and constipation. I took Peggy’s advice and bought the aloe vera juice at my local health food store (I even sought out George’s – the brand Peggy recommended as it is additive free and doesn’t need to be refrigerated) and it worked like a charm! I mixed 2 1/2 ml in Roscoe’s food twice a day (once in the morning and again in the evening). After only one day on the aloe, she had a bowel movement and started eating and drinking again. I just want to thank Peggy and Earth Clinic for providing the information I needed to help Roscoe get better. It’s emotionally very difficult to treat a beloved pet’s serious illness, but having resources like this make things a lot easier. Thanks again! In February, I took my 14 1/2 year old miniature dachshund in for a dental cleaning. After running pre-surgical blood work, x-rays and ultrasound, it was discovered one of her kidneys was incredibly enlarged due to cysts and infection. Her kidney was removed and she was doing fine. Two weeks after her surgery she stopped eating and drinking, was vomiting and lethargic. She was in chronic renal failure with a BUN >130 and Creatinine of 5.4. The only option left was hospitalizing her for 36 hours of IV fluids and if it worked it may need to be repeated possibly every week. Due to her age, the fact that she had a bad back, she becomes stressed spending the night in the clinic and all she had already been through, I took her home. I wanted to keep her as comfortable as possible and decided to research Earth Clinic (which I religiously use for myself). I began Peggy’s Aloe Vera Juice remedy at 2-3 ml’s twice per day as well as 1 tsp ACV in her water (I used a syringe to force her to drink for the first couple of days). Within a couple of days she had stopped vomiting and began eating wet food mixed with baby food and drinking again. I continued the 2-3 ml’s twice per day for appx. 1 month during which time she began eating normal amounts of wet and dry food. While continuing to eat and drink normally with no vomiting since the initial episodes, I put her on a maintenance of 2-3 ml of Aloe Vera Juice once per day. Two months later her Creatinine is down to 3.8, she’s doing great and the vet was shocked. Thank you so much Peggy, if it weren’t for you I don’t think our little Sophie would be with us anymore!! Thank you so much for George’s Aloe Vera suggestion for my cat with kidney disfunction. I bought it this morning and have given it to her 3 times today – 3 ml each time – and she has been minimally eating and drinking for the first time in three days. Baby is 15 and has been diagnosed with kidney dysfunction (a nice way of saying “failure” I guess) and hyperthyroidism. Inner leaf is not poisonous. Only the outer part of the aloe plant is poisonous to cats. Purchase inner leaf only (by George if possible). You can get it at good pharmacies and pet stores or on Amazon. Hello… I just wanted to comment on giving a cat aloe vera juice to stop the symptom of vomiting. One of our cats was vomiting severely. We don’t know if it was due to our having applied Frontline or due to a vet-diagnosed bladder inflection, or both. What I wanted your readers to know is this cat was vomiting up everything—food, water—nothing was staying down. We gave her one “capful” of aloe vera juice. The vomiting stopped immediately and has not returned. Since I didn’t know if this was a reaction to the (vile! ) Frontline, I have put aloe vera juice in all my cats wet food everyday since. Thank you for sharing the advice about the aloe vera juice! My cat diagnoised CRF problably 4 yrs ago. She has been on a prescript diet since and doing fairly well. Recently she started getting upset stomaches daily. Shes on a pepcid med. Morning and night and a medication for her upset stomach. Recently I decided (due to this post) that I would add 3 ml. aloe vera juice to 1/2 cup of water. As well as, quarter teaspoon of slippery elm bark on her can food. It seemed to help a little in the first couple of day’s. By day 4 and 5 it seemed to help a great deal. It not only stopped the lip smacking and upset ness and throwing up but now a week later she is laying more comfortable. No longer is she a loaf of bread or “meat loaf” position. Her legs our stretched out. She hasn’t thrown up in a week. I hope this helps others out there. This site certainly helped me. Thank you. My dear old feline friend will be 17 on Mother’s Day, and also is in CRF, has hyperthyroid, and acts like a crochety old lady. She’s about 10 pounds and it’s hard to keep weight on her. She also had fresh blood spots in her stool, perhaps hemerroids or irritated bowel. The vet gave me lactolase, and although it didn’t get worse, it didn’t improve much either. I’ve started a regimen of a bit of coconut oil – about 1/8 teaspoon, along with 1/8 teaspoon slippery elm bark – both in her wet food, morning and night. I melt the coconut oil in her dish in the microwave for 11-12 seconds, mix with the slippery elm bark, then mix in with her wet food. She’s also on methimazole for the thyroid condition (ointment form applied to the inner ear flaps). Since I started the coconut oil, the blood in her stool has greatly diminished-almost gone! It’s also helped her put on a little weight. The slippery elm for her CRF has diminished the lip-smacking sounds of chronic dehydration (though she drinks a lot of water), also diminished is her desire to sit on her haunches (like a meat-loaf); now she’ll lay on either side, sometimes even stretch out-it’s wonderful! The quality of the cold-pressed virgin coconut oil made a difference. It was pricey-but a 16 oz jar will last me at least 6 months, more than I could say for any chemical vet medication-meant to only treat the symptoms-just like human meds in the United States. Keeping us sick keeps us as a patient who will always be a return customer-our economy sadly thrives on this. Regardless, my old friend is now a thriving geriatric feline-thanks to Earth Clinic and those of you who took the time to post! I see the doses for Aloe for cats and small dogs being about 2-3ml 2x/day. Anyone have sources or doses for medium (50lb), large (75lb) and XL (100lb) dogs? Thanks! Hi there, I really appreciate your blog. Itis amazing that your pet is 18. My cat is 8 now, she is an oriental, very spoilt, and is getting grumpier by the year. We don’ have other pets or children. She has my full focus and lives like a human rather than a pet. Did your pet get grumpier with age? I have been told her life exp is 17 years. Value your feedback. Hi, I wanted to thank everyone for their posts about aloe vera juice for cats with CRF. After my 10 year old cat Joey was larthargic and not eating or drinking for 2 days (including throwing up and drooling a lot), I took him to the vet and he was diagnosed with late stage CRF. They said his levels were 10 times higher than normal. They also gave me meds for stomach upset, which didn’t work and called the next day to tell me I should put him down. Well, I couldn’t do that without first giving him a chance. On Monday, I ordered Kidney Support [supplements] after reading over 200 very positive reviews about it (it will arrive today). In the interim, I bought aloe vera juice and started giving it to him yesterday morning. I am so happy to report that he has not vomited once and has stopped drooling since I started giving it to him!!! He has even started drinking water on his own again. He is also laying more comfortably (intead of in the weird position others have mentioned). I can tell his stomach is feeling much better. I’ll post again after I’ve tried the supplement I ordered to let you know how it works. Thanks again, I love this site!!! Hi. was wondering, although a old post, did you have any other suggestions for a hyperthyroid cat? Thanks. She might benefit from a playmate. My little India (kitty of just 4 yrs old) has been diagnosed with CKD and has a creatine level of 270. It just jumped up from a stable 206. India is always hungry, is a good weight (they say could loose some! ), is active, playful, happy (always kneading and purring), and uses the littler box perfectly. The only sign of his CKD is that he pees a lot in large volumes. (urine concentrates at .014). I'm starting to give him the Inner Leaf Aloe Vera…but I'm not sure how much to give. It's seems like 2-3 ml 2x per day is good for serious cases…(from reading your stories). Can I give him this same amount in hopes to reduce his creatine levels and to prevent things from worsening? or could this possibly hurt him? Also I want to give ACV. I'm following Peggy's advice of 3 tbsp in 1 litre of water…but then how much of that do I give him per day? How many mls? and how often? He also has pumpkin, Alaskan salmon oil, coconut oil, 1 1/2-2 cups of water (lots of soups! ), good raw food (I side with the higher protein), chineese herbs for inflammation, and will be adding dandilien leaves, some kind of formulation. The vet has suggested Renal Essentials…but I'm not big on the absorption of tablets. Are there any formulations (ultra clean) that are known to reduce creatine levels? Thank you! My little man is only 4…and I hope to stay ahead of this…he is SO beautiful! How do you get the animal to drink the water with the the ACV in it? Hi Ryan, you need to be more patience as it is takes times for a cat to heal from RF. My siamese mixed cat belong to my daughter which recover from RF diagnose with large liver. You need to force feed with syringes on wet canned food brand called hills with virgin cococunt oil. Its takes longer time to heal. You need to feed every 2 hours. Also force feed water too. I am a firm believer in ACV, 4 years ago my male cat started urinating in odd places, which was completely out of character. (Whenever this sets in he also seems to have a one eye partially closed & also starts cleaning his private area) I took him to the vet & he prescribed special food & antibiotics. But itt didn’t seem to help much. We gave him ACV (with the Mother) mixed with spring water & in a few hours he was like a new cat. My pets won’t drink the water mixed with ACV in the water bowl… So we stand behind him place one hand under chin & insert the syringe into mouth near his fang & just squirt it in) Works like a charm 🙂 We give him 1 part ACV to 4 parts spring water. I think it’s 1 cc to 4cc water. I have never again given him the Special food or the antibiotics. Pls tell me how much ACV to put in my cat's water dish?? You can try 1/4 teaspoon ACV into 1 cup of purified water to start. Some use 1 cup ACV into 4 cups water – a much stronger concentration. Start on the lower end until you know your cat is drinking it. If your cat won’t go near the water bowl with the ACV in it, you might try saturating his paw in the solution to see if he will lick his paw dry -and ingest the ACV to boot. I know we're talking about kidney failure so ACV AND LILY OF THE DESERT INNER FILET ALOE VERA JUICE! It's cheap and working for my cat of 25 lbs. 2mils of Apple Cider Vinegar and 3 of aloe mixed. A little honey helps. As for fleas! UGH! WHITE VINEGAR! THAT'S IT! VINEGAR! First give a bath with dawn. Then fill a spray bottle with vinegar and one 50/50vinegar and water. For pets spray lightly with diluted bottle and rub in. Put other bottle of straight vinegar on carpet, bedding, everywhere dog or cat goes.do it daily. It's also a sanitizer. Smell goes away in about 15-30 minutes and you are left with a neutral smelling house! NO SMELLS! I have asthma and I use it daily for cleaning and pets and clothing when I wash. Look it up online! NO MORE FLEAS OR FLEA SHAMPOOS! If you can’t get your cat to eat the fresh leaf, try putting about 5 drops of dandelion liquid tinture in a full bowl of drinking water. Don’t ever administer full strenth cider vinegar or dandelion root directly into your pets mouth. I have never been able to hide any liquid in my cat’s water. He always seems to sense something is in his water. I will try this, though. If anyone has suggestions let me know. What dosage of ACV did you use? how much diluted in what amount of water/food? Sorry…. Saw that you HAD written the ACV dosage in your post, I just missed it. But then another question: how did you decide on this dosage? Some ppl have tried 50:50, some say 5-7 drops in half a litre of water is safe coz too much can CAUSE kidney stones by pushing the urine’s ph too far in the opposite direction… There is too much variation for me to know what might be beneficial for my cat. Anyone can clear this up for me? I’m from South Africa. My dog had a blood transfusion on Monday 21st November 2011. The vet says she is very pale & perhaps she is anemic & can’t produce much red blood cells. This could be a cause from tick bite fever as well. She lost weight, gums became whitish yellow & she also lost her appetite, her belly staryed to swell as well. Due to her being old, 11 years old the vet say her kidneys are failing & heart is under so much strain. Can dandelion resolve any of the above? What can help produce or increase red blood cells, what can reduce the high ammonia levels for liver damage? SOS, please help & please provide your contact numbers and country so I can call you, this can help us all. I should begin by expressing my gratitude for this site as I have been using it for months. This is my first entry. Having used herbs myself for years, I began adding aprox. 1-2oz of an herbal tea infusion I drink daily with nettles, dandelion leaves, nettles, oatstraw, red clover and a couple of tea bags of raspberry-green tea to his water bowl. (aprox 1 cup). All are gentle herbs which cleanse and strengthen and the diluted taste isn’t an issue at all. Nettles are amazing. (Read about them) Oats settle the stomach. Red Clover has been even known to help and cure cancers. My cat kiki was a little on the chubby side. She was a stray so she is aggressive for food. I ALWAYS fed her MAX cat or Nutro from Petco. in 2006 she began throwing up- i thought Hairballs because Kiki usually doesn’t have a problem eating anything. She loves to eat. She began throwing up more and more. I now realize it was the possibility of contaminated DRY food. Thats all she ate. by the beginning of 2007 Kiki lost alot of weight and i didn’t know what to do. I took her to the vet and $500 later (their magic number), Nothing of renal disease. It was when kiki was surprised by a neighbors pit bull and was attacked – Broken ribs- and a few more things but she is OK, she is a LUCKY cat! The specialist hospital she was in showed me the Renal Disease low testings on that. She is very affectionate but since she was basically starving, from always throwing up, She would throw up and throw her body down to lay down lethargic and just looked depressed. She would have an upset stomach for 3-4 hours after eating she would lay alone her stomach would be swishing, she would lick her lips alot when she was going to throw up and then throw up volume. Digested food and water. Since renal disease is kidneys and they are for pulling the toxins out I was about giving her the RIGHT food. I finally found her combo a dry food called Nature’s Recipe at petco and wet food from Trader Joes. I put peti greens, eggshell calcium, the Digestive Enzymes and a product called RENAL G.O. they have. I have been adding it to her food DAILY in her wet and dry food sprinkled on top. This has now been steady since Oct 2007. Pets Friends makes it and they have helped me have Kiki gain weight I also put 2 drops food grade hydrogen peroxide in her water bowl since 2/08. Her coast is awesome and she used to get little rashes and none since the diet changes and all this. Now I have my loving kitty back feeling full! I now want to help her joint pain from her Pit Bull Attack. She was in it’s mouth it shook her- and no internal bleeding one puncture wound that was only her skin layer and she was in shock when I got to her ( I was at work) but I think I will try a ACV bath with a Hydrogen peroxide rinse. If anyone knows any more body pain I can help her with that would be great. She is my best friend Hi have had her since i was 19 she is 13 now. She is a grey Korat. Thanks Everyone who posts here I hope this helps. My cat has CFS (Chronic Renal Failure) for the past 15 months and she gets chronic bacterial infections. I just recently started giving her a Vita-Mineral Mix from Halo pets and it seems like she is already healthier. It has only been about 9 days and I don’t even give her the full dose only a 1/2 tsp one or two times a day I wanted to start slow as I am always very careful. She is more lively and energetic and her latest infection seems to be gone. I realized that the Vita Mix contains Montmorillonite Clay I had never heard of it before so I did some reading on it. I suppose it could be cleansing her body, it seems to be doing something good. I am even thinking of looking into taking some for myself. I will keep you posted on her progress. Here’s an update on my cat with CRF who I have been giving the Vita-Mix to for almost two months now. I do not give her the full dose I actually cut back to a couple of times a week instead of daily. The results are: She has gained weight, hasn’t had a bad urinary infection, seems more social, has bouts of energy, I have been able to cut back on her antibiotics and I have also been able to cut back on her Sub Q injections, overall I would say she is doing great. I read about the vita-mix for cats that has CRF and I would like to try it on my cat too. Is vita-mix a brand? If not, which brands of supplements manufacturers make that? Thanks! EC: Sorry, we had mistitled it "Vita-Mix" when it's actually called "Halo Vita-Mineral Mix". If you search for it on Google, you will see the various pet stores that carry it. I know this thread is several years old, but wanted to add my recent experience. I have two 19 yr old cats. One has kidney disease, while the other is in kidney failure. I ordered the Halo Vita-Mix and it arrived today. I noticed one of the ingredients is phosphorus. The cat in kidney failure is already on meds to remove extra phosphorus. I mixed a little and gave it to the other cat. Within 2 hours, he was huddled over the water dish with his head hanging almost in the water. This was a first, so I removed the rest of the food, gave him some tuna juice with ACV and a couple drops of Colloidal Silver. He seemed to improve and has not hovered over the water dish since. Be very careful if you give this product to your cat with kidney issues. I will try to return the product, and if I can’t, then I will throw it out. I’d like to hear what you did for your dog’s rattlesnake bite. * Chitosan, a natural, non-toxic fiberous crustacean (and key ingredient in Epakitin, I believe) when given with a meal helps absorb phosphorous that is responsible for nausea with kidney-impaired animals. It’s a less espensive althernative, and sold in health food stores and online, (often used as a diet apparently). * Dark Turkey Meat: (and the BARF diet) Dark meat has less phosphorous than white meat, so is easier on the kidneys. And my holistic vet told me that turkey and chicken aren’t the same – turkey is much easier on animals with CRF than chicken. * Phosphatidylcholine – Used clinically to regenerate the liver, kidneys, heart, brain, intestines. It’s “important for normal celluar membrane composition and repair”, occurs naturally in egg yolk and krill oil, and appears in small quatities in lecithin. (Phosphatidylcholine can be purchased as a supplement with 35% phosphatidylcholine with lecithin. ) Works best when taken with Vitamin C.
In Europe it’s used for “atherosclerosis, peripheral vascular disease (such as reduced blood flow to the legs, walking problems, stroke, carotid obstruction etc) liver disease, kidney disease, MCS (chemical sensitivity), Alzheimer’s disease and macular degeneration. There is a claim of reduction of incidence of stroke or repeat stroke, reduction of angina pectoris pain and frequency of attacks, lowering of LDL cholesterol, increases HDL cholesterol, improvement of walking distance, improvement of mental function and improved sexual function by the European manufacturer. A bonus to phosphatidylcholine — supplement companies combine it with other supplements/herbs as can result in an 80% increase is bio-availability (e. G. increased absorption rate). Shawna G from Penn Hills, P.a. 1. AM – Raw meats: chicken hearts (source of taurine) whiting and talapia (low mercury fish) chicken livers Supplements: Slippery Elm (1 gel-cap), 1/2 tsp.Epakitin, NSI’s Friendly Fiber (1 gel-cap), Azodyl, Source Natural’s Beta Glucan 100mg. * Important* I add a few drops of apple cider vinegar and 1 drop of hydrogen peroxide to his water bowl. This diet should help both cats and dogs with kidney problems due to age or tainted pet food. What to do if cat has anemia and kidney disease. I make my own egg shell powder for binder but switching to NOW Calcium Carbonate, vet advice. She is in last stage kidney disease. Eats, drinks and urinates. Cannot walk much and strains to have a stool. Mood is fine and wants to walk but gets tired. I am feeding her bff duck and tuna pouch, tuna and turkey pouch and tuna and chicken pouch. I boiled chicken livers for a treat once a week. I give sub q daily. She has B complex mixed in food, d mannose to prevent any uti, and Slippery Elm Bark for constipation. I am writing to say, i well know the benefits of acv. i am now trying it on my cat, who, unfortunately is the victim of this latest scandalous bout with tainted cat food. i notice him being a bit lethargic during the fall, but assumed it was the winter hibernation mode setting in. i stumbled upon an old empty can of iams cat food that my puppy had hidden, and low and behold, it had the bad magic numbers on it. i took my 11 year old cat for blood work, will get the results tomorrow. my nephew, a cat man, was checking my cat over, and found his liver to be so tender, that my regularly calm cat bit him a bit. i have started my taz on acv, a bit on the lips, a bit in his water, and used an eye dropper full of diluted acv. i am going to watch him for a week, and request a retest. i am so afraid to let the vet give him drugs. i read where the drugs had cured a few animals problems with the liver, but caused problems with the stomach. so, here goes..will write back in a week or so..here is hoping. i wrote back in april, about my cat and puppy that had eaten some of the tainted iams canned food. their kidney readings indicated a problem. i told the vet i would treat them myself, come back for a retest in a month. i gave them both water with acv, and colloidal silver through the month. the results for both came back clean..again..acv rules! My mom has a twenty pound dog that is suffering from kidney issues. She is willing to try this for her dog but it doesn’t state how much of either to give. We don’t know what or where to get colloidal silver and at what amount. Any suggestions would be much appreciated. Thank you. You can get colloidial silver ffrom most health food stores or drug stores. As far as doses go, I usually go with slightly less than an adult dose for a 65 pound dog and adjust it accordingly per the animals weight. We live in a remote area with unreliable vet service so I have had to become the vet and I much prefer natural cures. Last week, I had a cat develop a urinary tract infection. After doing much reserch, I tried him with1/4 tsp of ACV mixed with water and I mixed some in his water bowl. In a few hours he began to urinate normally. Three days later (because he wasn’t acting right yet), I drove him 4 hours to the vet. They took a urine sample and it showed traces of a UTI indicating that he was getting over one. That proof turned me into a believer!